One thing I like is when actors not from Hollywood, or the States for that matter don’t turn their back on cinema in their native country. So it was nice to see Marion Cotillard star in a french film that holds its own against other big hollywood-esque productions in the Competition category. Cotillard is cast in one of this years most anticipated film, The Dark Knight Rises, but I fill that her role in Rust and Bone will be her stand out performance this year. I adore her, not because she is gorgeous, but I feel her performances have an understated intensity and she is really present in the scene at all times. In other words she is a brilliantly believable actress. Rust and Bone (De rouille et d’os) will be screened today at Cannes and will be one of the many foreign language films being screened throughout the festival. Director Jacques Audiard has turned this princess and the pauper story into a modern-day tale about two people from different parts of life needing each other in the midst of their struggles. Ali and his son Sam are homeless, but eventually finds shelter in his sister’s garage and a job as a bouncer. On his trail he meets Stephanie, a self-assured killer whale trainer at her local Marineland. After a night of passion, she gets into an accident which causes her to lose her legs. Ali is still a stranger to her, but he helps her through her turmoil and she finds she’s depending on him. Rust and Bone beautifully captures how people cope and struggle with their lost dreams and hopes. 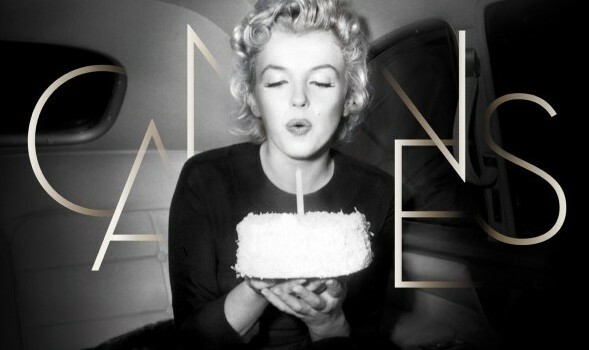 I can’t wait to see this. I love romantic dramas with depth. Talk about keeping it in the family. 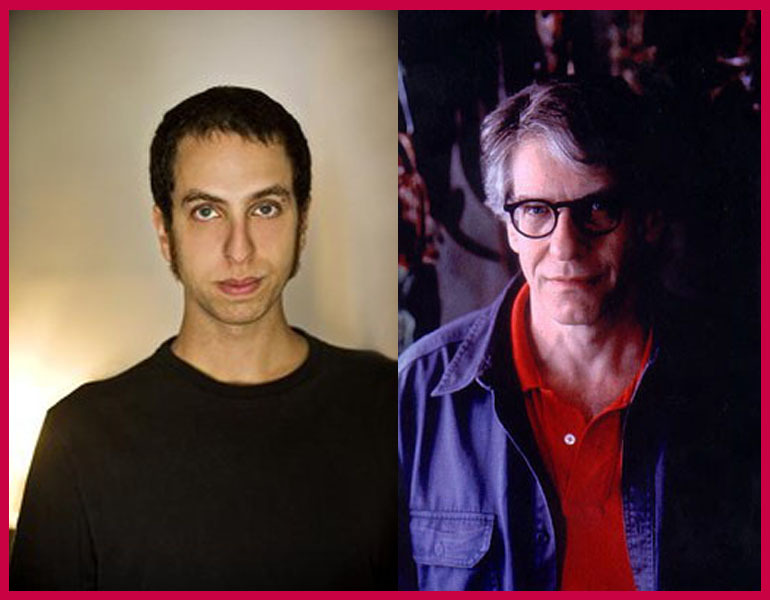 Cannes has included in their selection David Cronenberg and son Brandon Cronenberg’s films to compete in this years festival. Although Brandon’s first feature Antiviral is in the Un Certain Regard category and David’s Cosmopolis in the main Competition category, I’m sure there must be some pressure to live up to the Cronenberg name in film. Father David has had a career spanning at least five decades, with successes including The Fly, A History of Violence and more recently A Dangerous Method. It is not unusual that Brandon has chosen to follow his fathers footsteps, since his sisters, aunty and cousin all have dabbled in the film industry in various crafts. 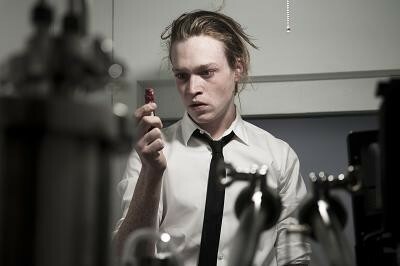 Antiviral is essentially a social commentary on the idolatrous relationship the public have with celebrities. Brandon Cronenberg has not released a trailer for Antiviral, so although the synopsis could seem quite intriguing, it is hard to tell if this plot will translate into a credible film or fall into the amateur film student kind. At the top of the family tree things look promising for Cosmopolis, starring Robert Pattinson, heart-throb to some, not so much to others. To be honest, the premise of Cosmopolis is a bit vague, especially from the trailer. What we do know is that it’s about a 28-year-old billionaire asset manager, Eric Packer (Pattinson), that rides through a futuristic city of some sorts in a stretch limo. The story is about his day devolving into a strange journey in which characters in his life attempt to tear his world apart. Cosmopolis is said to be questioning the resistant against a future world in this new millennium. That’s some deep stuff. But does D.Cronenberg manage to pull this off without losing the message in the violence depicted in the trailer, because it could easily be conveyed as just another action film. 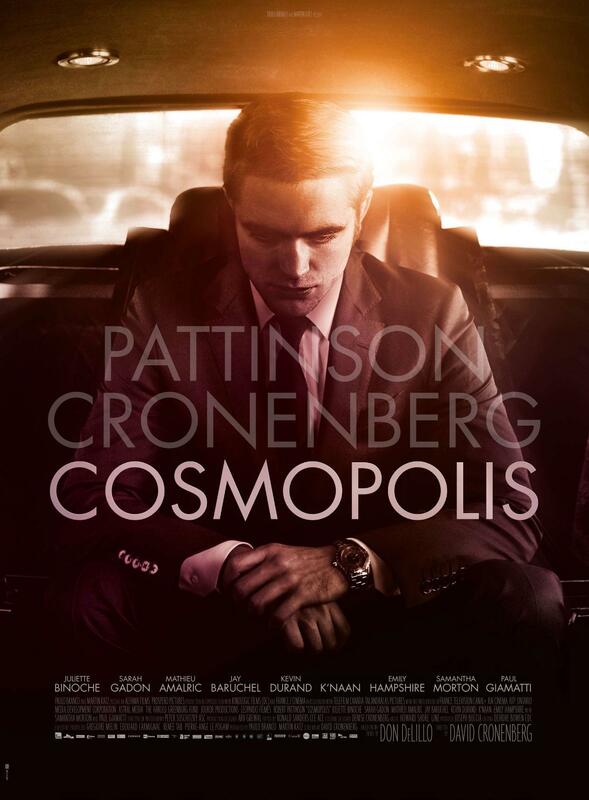 Good luck to the Cronenberg clan and here is the trailer for Cosmopolis for you to decipher.